For the year and a half, we’ve been extremely lucky to be able to provide bi-annual professional development for our dental technicians and clinic assistants. It has quickly become one of my favorite parts of our project. 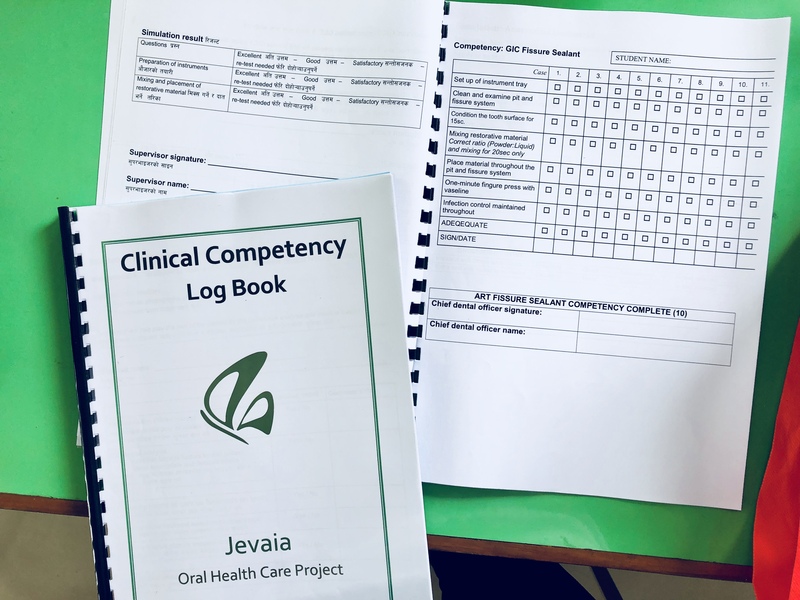 Jevaia dental clinics deliver the Basic Package of Oral Care, a collection of dental procedures that was designed in collaboration with the World Health Organization for limited-resources settings. The BPOC was developed by Europeans, and it has mostly been used in developing world settings as aid or transient care. 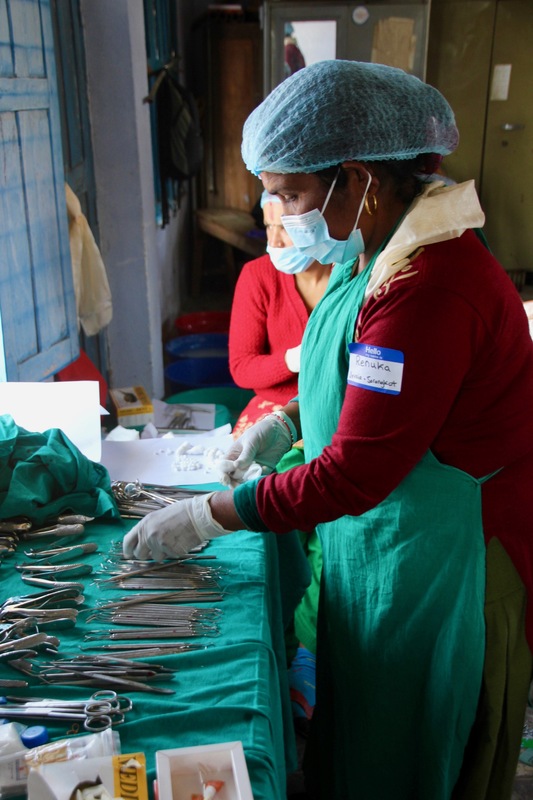 Since we train local dental technicians to provide the BPOC in Health Posts instead of temporary camps or outreach programs, we’ve had the chance think about applying it as a sustained primary health care strategy–especially since we started working with Berkeley, Dr. Bethy and Dr. Keri and other collaborators in 2016. I suppose that kind of thinking is one difference between aid, or any kind of temporary relief, and human rights, which entitles people to a consistent standard of health care. Our past three professional development workshops have focused on the use of Silver Diamine Fluoride; infection control tailored to rural Health Posts; and treatment planning (one thing about a stable primary care provider is: they can actually plan!). This summer, Dr. Bethy is teaching our professional development on school-based treatment planning, so we can shift to a more systematic school-based oral health care model with local dental technicians. Dental technicians in JOHC already conduct monthly school seminars to do school-based screening and treatment for children and parents. We call these “seminars” rather than “camps” because they are run by a local provider and they help connect people with the Health Post dental clinic. 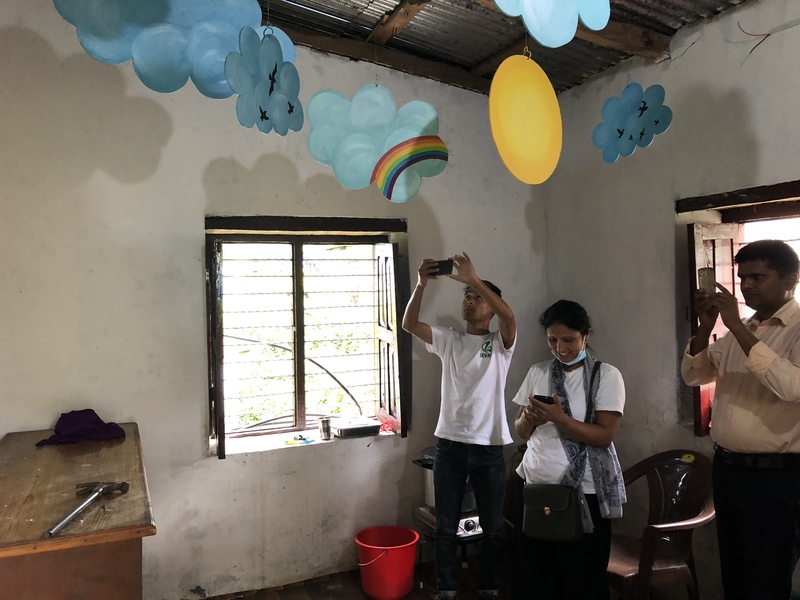 Unlike most “camps,” seminars don’t aim to treat as many teeth as possible in the shortest time, but to build relationships with the technician and raise public support for a government dental clinic and community outreach programs. Our 2018 summer professional development was seven days long for veteran technicians and ten days for new technicians. It kicked of with technicians and assistants examining photos of real ART fillings (like the kind they do) organizing them in to acceptable and unacceptable outcomes. Then the clinicians had to use the photos to diagnose why the unacceptable treatments had partly or fully failed, which lead to a review of practice technique. It was really gratifying to see how this impacted everyone’s thinking a few days later, when we were back in a school placing fillings. Since the BPOC was originally conceptualized as crisis management, a challenge of our project establishing a quality of care standard in a stable primary care setting. At this year’s workshop Bethy helped introduce a competency framework. During the three days of classroom work, our new technicians supervised old technicians in a “simulation seminar” where they had to demonstrate each technique using the competency checklist. 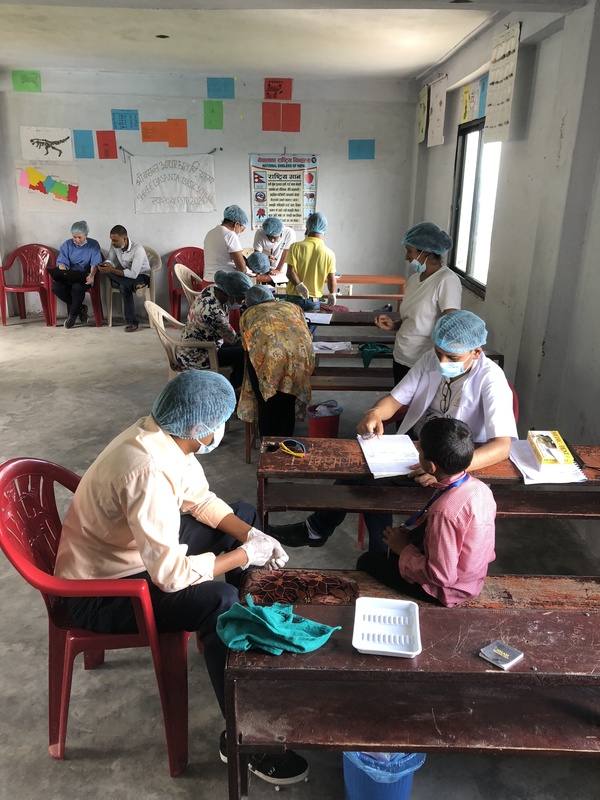 When we moved to the three-day school setting with live patients, new technicians were supervised through ten of each procedure and had to pass the competency checklist ten times. Veteran technicians performed one of each technique under a doctor’s supervision and we used the completed checklists to award “competency certifications” that are valid for 18 months. We even created a framework for technicians to review their competency certification every 1-2 years. Overall, the workshop was meant to guide our clinical teams toward a more rigorously informed, holistic approach to school-based health care, where JOHC technicians work as members of the primary care system rather than visitors. The training emphasized taking time to slow down and connect with patients rather than blowing through a line at the door. Dentistry can be scary and rather than jumping straight at a kid’s teeth, the intake leaves time to comfort frightened children and to learn about their lifestyle habits and disease risk factors. In turn that information is used to provide more complete and well-informed care, instead of just treating as many teeth as possible. It seems obvious, especially for primary care practice, but in reality that’s not usually how dentistry is done in our setting (or often, in general, if we’re being honest). As part of this, the clinical teams spent a good amount of time reviewing cariology (the biology of oral disease) which unlike the practicalities of how to mix cement and apply it properly, informs which techniques should be used when. In other words, without adding in more high-technology interventions, we are focusing on more effective deployment of the conventional BPOC. For me as a non-clinician, it’s super interesting to see how these minimally-invasive techniques can be used not only for emergency management of foregone problems, but for early intervention and prevention of disease in the whole child. In all children, actually. This same package of care can be used in service to population level public health needs where resources are a practical limitation, and yet there has been little focus on applying it that way. My dream is that one day it will be rural technicians and assistants presenting to academics at conferences on how they’ve adapted and improved these innovations to benefit their communities in the real world. An incredible thing happened on the third day of our practice seminar in Kaskikot. The school we chose is next door to the Health Post. The third day was reserved for parents so that technicians could apply the training concepts to adult patients. 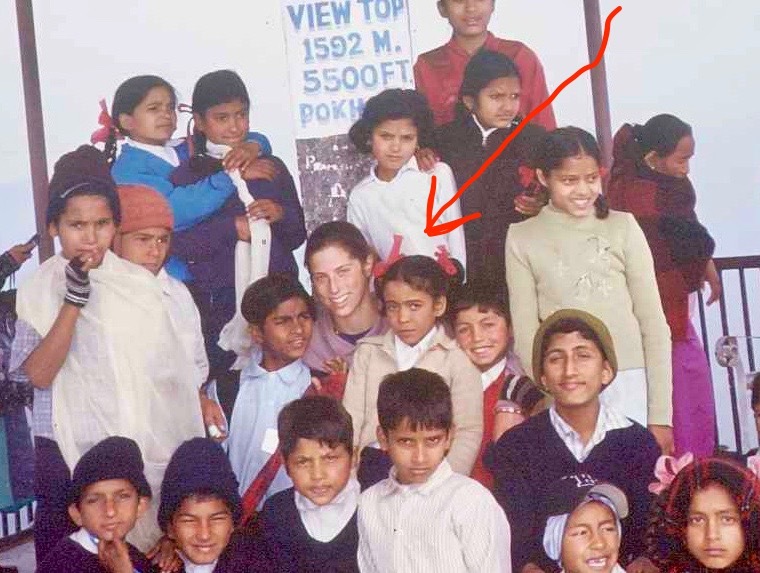 I was waiting out in the stairwell when suddenly I saw a face I could never forget: Nisha, one of the students I taught for a year at Sada Shiva Primary when she was in fourth grade, a million years ago. It was with Nisha and her classmates that Govinda dai and I ran our first ever school oral health program back in 2004. At the end of that day, we took a photo of all of us in front of the Kaskikot Health Post, which at that time was just one simple building that today is fully dedicated to our Dental Clinic. 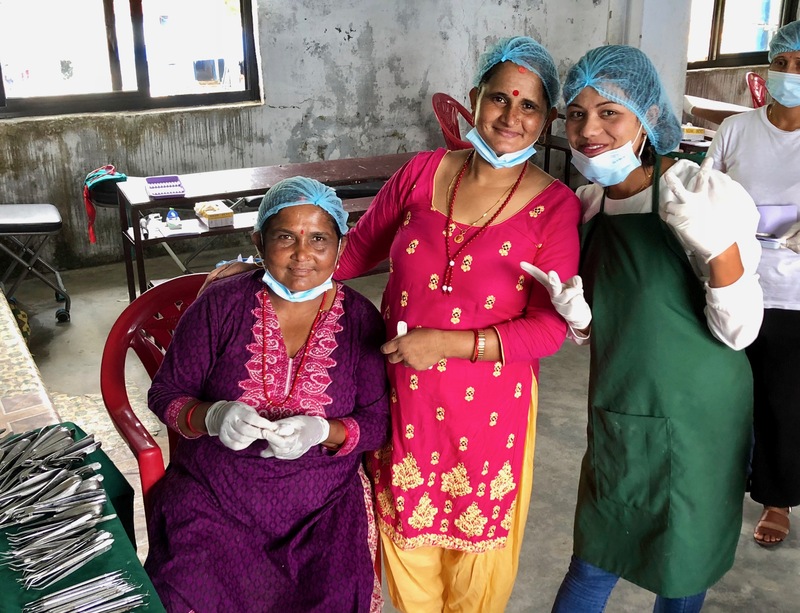 Nisha had come to our seminar because her daughter is a student at the school where we were running the training in 2018–with five dental technicians, seven assistants, and an international expert in public health dentistry as trainer. Finally, the icing on our professional development cake was a world-class makeover for the Kaskikot Clinic. My friend Maelle who lives in Pokhara started an organization called We Art One that paints murals and does art programs in schools. 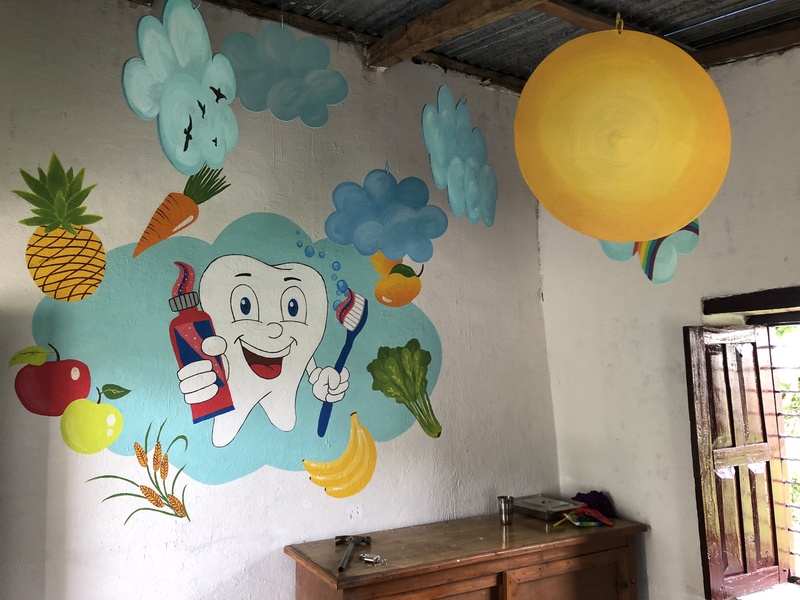 We asked We Art One to turn our Kaskikot Dental Clinic in to something bright and welcoming. They took it next level, putting this exuberant mural on the outside and literally building a ceiling mobile inside for patients to gaze at while lying in the chair. It’s made from hand-cut wooden clouds that Maelle painted. 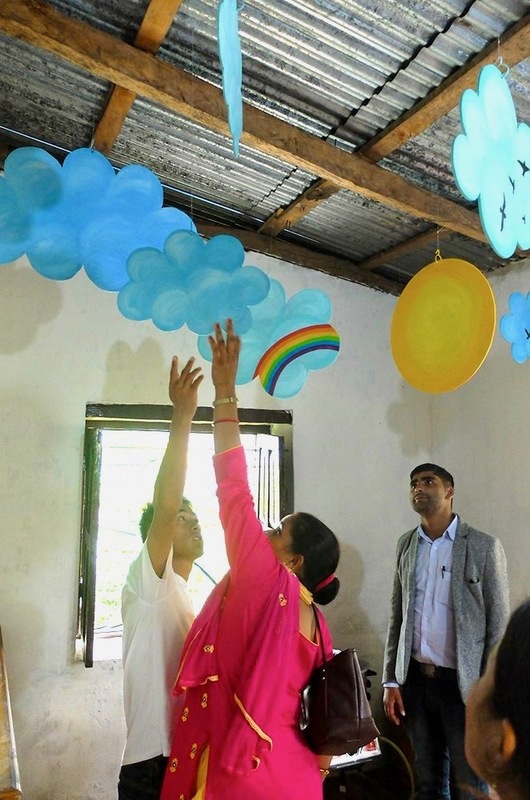 I know not every rural Health Post in the world can have clouds and rainbows hanging from the ceiling. But I think they all should and I think we should try. The only reason we need is that every patient in the world is a person. Those of us with choices would never choose health care in an unfriendly, cold or unwelcoming environment, especially for medical treatment that can be scary like dentistry. I don’t know why we seem to believe in some kind of false economy that suggests it’s not realistic to afford that dignity to everyone. This beautiful artwork was not expensive or difficult; it was just a decision. It mattered more than doing something else for some other purpose. So that was our summer. Two new clinics and nine veterans are open for business, if anyone out there needs an appointment! Come visit us soon! You’re White. It’s Fine, But Own Up. 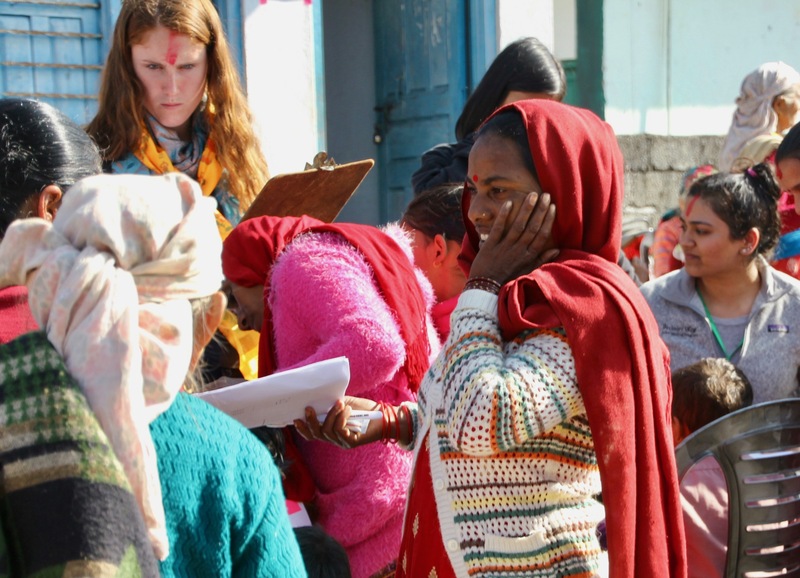 It’s no secret that I am not a big proponent of health camps – for all the obvious reasons. Despite the very quantifiable benefit of a rapid delivery of emergency care in remote places, we’re working in a different space, trying to uproot transience, lack of accountability, saviorism, and the indignity that in the final reckoning still goes with things like…well, health camps in rural developing world communities. I know this seems unrelated, but I remember a day back in 2004 when I had made my morning run to the junction at Naudanda, and a bus was just pulling up along the Bagloon Highway. Some tourists got out and they had a collection of enormous plastic bags from which they began extracting articles of clothing. A crowd of people gathered around, reaching for the anonymous pieces, irrespective of size or relevance or history or purpose. Just in case something was useful. As I stood watching, my running shoes expelling wafty dust from the dry road, there was no analysis or judgement that went through my head; I was just frozen by a wave of shame in my heart. For the indignity, the dehumanization, the unspeakable power differential before my eyes, in which I was complicit. For the participation we are all assigned before we’ve even arrived: savior, beggar, observer. There was never a time in my life when I thought, you know what my passion is? Dentistry! Working in oral health was something that grew out of being assigned the observer role, which turned out to be very uncomfortable. I’m more in the business of looking at casting and lines, of trying to rewrite parts of the script. 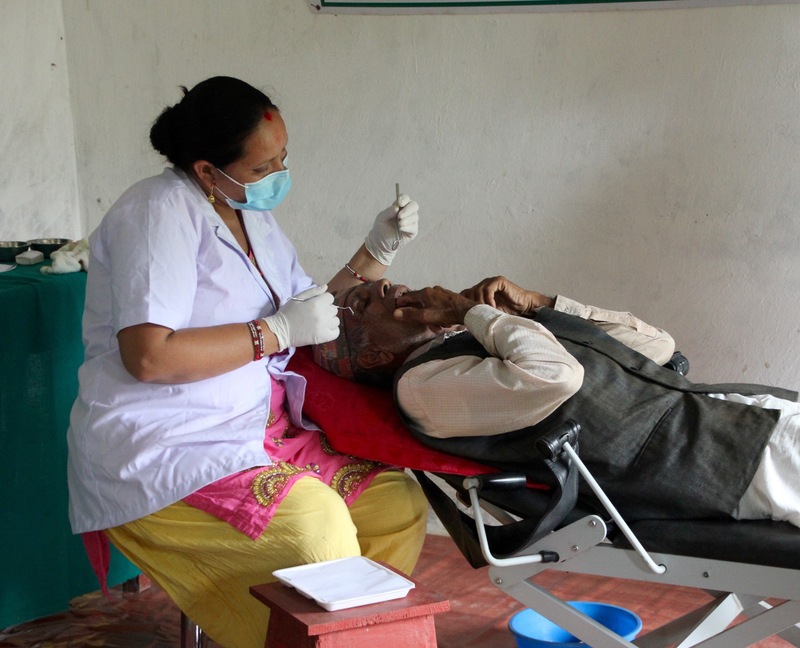 Oral health is an ideal area to be working on this because disease is so prevalent, chronic, and preventable, with services disproportionately skewed toward upper classes (globally, not just in Nepal). This is an area where it is entirely possible to create a system that does not rely on helicopter interventions organized to address the greatest volume of teeth, but relies, instead, on structural accessibility and strong public health policies. I’ve had a decade and a half to grapple with the problem of myself as a white person working in an underprivileged country. What I realized pretty early on is that the only way to handle that is to embrace it with all four of your limbs and hang on tight for the whole ride. Centuries of colonialism have conferred on my skin and nationality a power and predicament that none of us, in the current act, created or can do away with, which only leaves us the option to be honest about the whole clumsy issue. The way this translates is that I think carefully about when and how I show my white face, and in fact, this is not an uncommon topic of discussion in our office when we are planning fieldwork. Over the years I have mostly built myself into a behind-the-scenes role, while Nepali people fill all the stage characters. But when it’s strategic, our team openly brainstorms over how my whiteness and Americanness (two, not one, power plays) can be leveraged to bring legitimacy to others or bend things in favor of a local agenda. That is what these privileges should be used for. In fact, shirking that opportunity seems almost as problematic as not knowing when to stay out of the way. So, if you are staying with me here, we have on one spoon some peanut butter (health camps, with their historic problems) and on the other some jelly (colonialism, lending power and privilege to white foreigners), and we are about to make a kickass sandwich. Are you ready? Welcome to the promotional community-based dental camp. 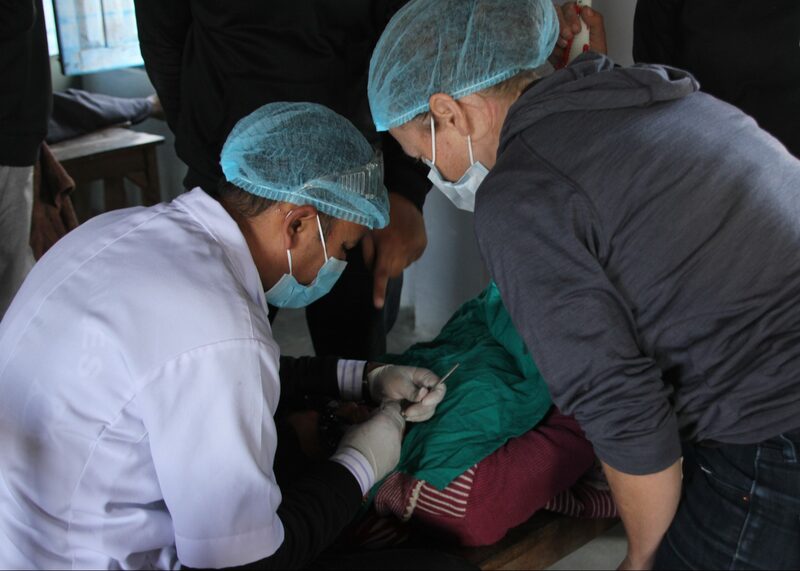 We did this last year in Hansapur, almost by accident, when we arranged for fifteen foreigners to go do a survey, while six Nepali dental technicians set up a field clinic and treated 300 people. 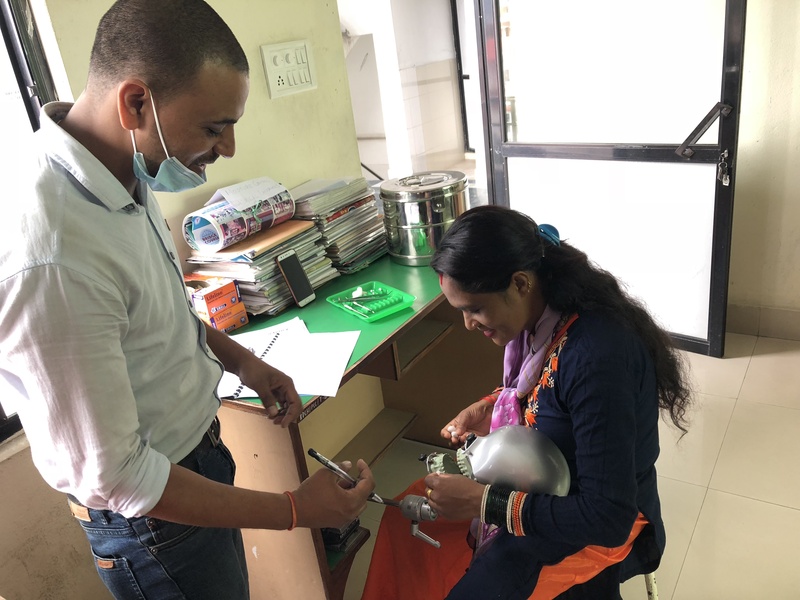 The result was that Hansapur asked us to help them start a local dental clinic and school-based oral health programs with providers of their own. YOU GUYS, we thought. This is a good idea. This is an excellent use of a brigade of white people. So this year, for Nepal Smiles 2.0, we flipped the agenda. The purpose of the camp is promotional, and in the mean time, we’ll do a survey, treat some patients, get extra supervised field training for our technicians to cap off their week of professional development. But the primary goal is to expose a rural community to resources we can help them develop, while a large group of outsiders adds legitimacy by being part of the process. Welcome to the village of Dhital. In the promotional community-based dental camp, our agenda was explicitly not to save all the teeth in Dhital. This is quite a different stance than your typical health camp. We limited patients to fifty, so that technicians would be able to properly go through the entire respectful assessment and treatment planning process they had practiced all week. We invited politicians and social leaders in Dhital to observe the treatment room and meet our field teams from other villages. 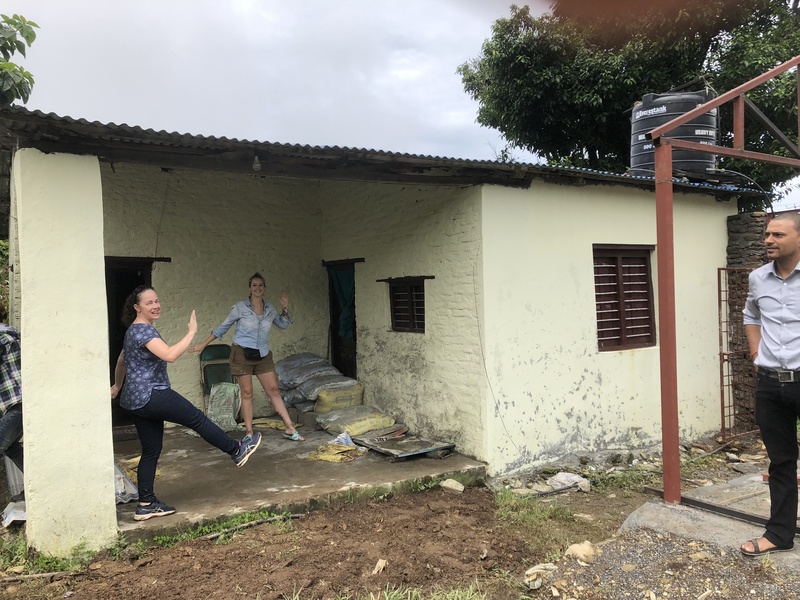 All services at the camp were provided by technicians and assistants from surrounding villages while Dr. Bethy consulted on the learning from the week, lending her stature as well as her expertise. 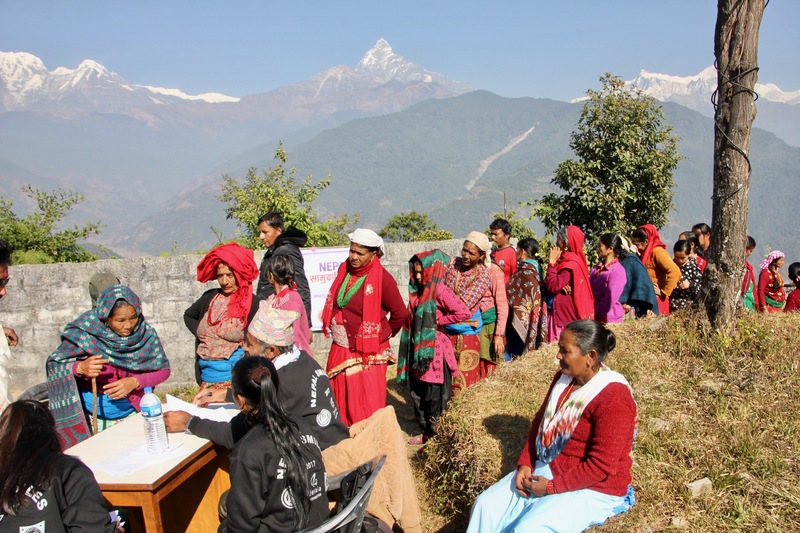 As patients came through the camp, we treated a limited number within the constraints of this approach, and then provided referrals to our partner hospital in Pokhara. We accept these limitations because we are also laying out a pathway for Dhital to launch its own similar services. I have been mulling over this quite a bit and would love to see this conversation happening out in the world. What do you think? How do we negotiate a racial story that has been hundreds of years in the making, and leverage it to make a more equitable world? Surely, there are people out there ready to rip this conversation to pieces. But we should have it. 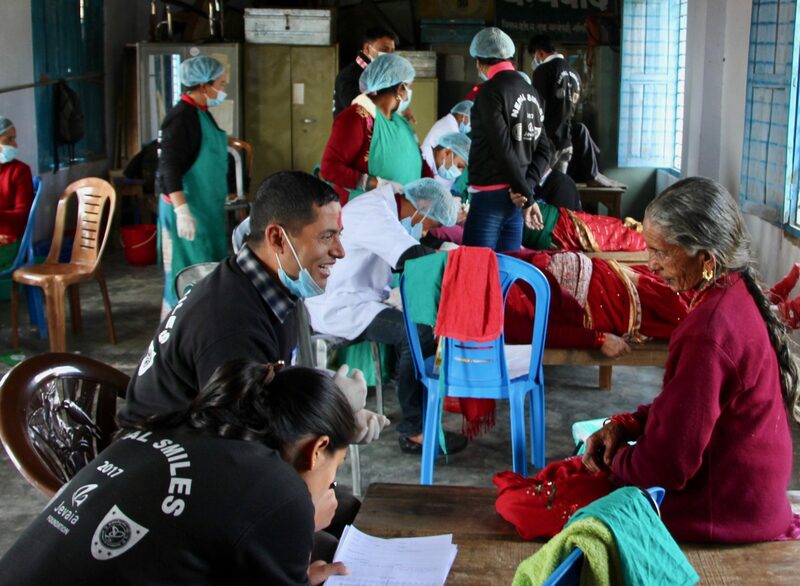 What I see daily is that, for rural Nepali health care providers like those we train, being associated with people from California and New Zealand confers legitimacy. Hand-wringing over this is less useful than taking responsibility for these roles we’ve been cast in, and unflinchingly examining how we play them in a way that ultimately deconstructs them, chips away at the hard shell of racism and colonialism, and eventually, creates new a revised and more just theater. This is not something that happens by accident, or quickly or easily, or without mistakes. And definitely not without calling it out in the first place. Here’s us, having our imperfect go. When I was at the Sindure dental clinic a few days ago, a 60-year-old woman I’ll call Mina arrived with three family members. The family had walked an hour and a half from the next ward over because, after trying shamanism and home remedies for Mina’s dental pain, and they heard about Sindure’s dental clinic from neighbors. All four of them wanted to be seen. Sindure is our remotest clinic. The clinic assistant Biju has to walk about a quarter mile to fill a bucket of water at public tap for use inside the clinic. When our technician Jagat examined Mina, he found that she needed two teeth extracted but also that she had low blood pressure. A discussion ensued: given Mina’s age, medical history, and low blood pressure, should Jagat perform the extraction? Our office staff had taken a five-hour bumpy private jeep ride to get to Sindure. In the monsoon, it would take this family the better part of a day on public transportation to reach a hospital, where, possibly, the dentist would or wouldn’t be in. They might or might not be able to return home the same day. The hospital might or might not perform an extraction on a patient with low blood pressure. In the best case scenario, the cost of transporting the whole family, paying for treatment, and maybe overnighting in the city would be significant. In the end, Jagat treated Mina with silver diamine fluoride, a noninvasive carries-arrest technique that turns decay black and hard, safely slowing and often halting the disease. He advised her to return the following week, and if her blood pressure looked better then, he would extract the two teeth. The treatment cost her sixty cents. In all except one or two of Nepal’s hospitals, silver diamine fluoride is not in practice, although in the U.S. it has now been approved by the F.D.A. Later, we posted the case to our private JOHC clinical page, where all of the rural technicians can discuss case questions with Dr. Bethy and Dr. Keri. What blood pressure is too low? Does the patient’s age matter? How do we factor that realistically Mina is extremely unlikely to seek urban care even if we refer her? What role does patient counseling play? What other things determine whether such a patient can safely have an extraction done in a rural dental clinic, and how do we progressively bring different levels of care together over time? What about the grandchild who was with Mina, probably not more than eight, whose access to a hospital is burdensome enough that it only makes sense to go there for emergencies, not simple procedures like silver diamine fluoride or glass ionomer fillings? Why should an eight-year old have to let a disease progress until it’s an expensive emergency in order to be worth caring for, when early intervention can be made accessible? 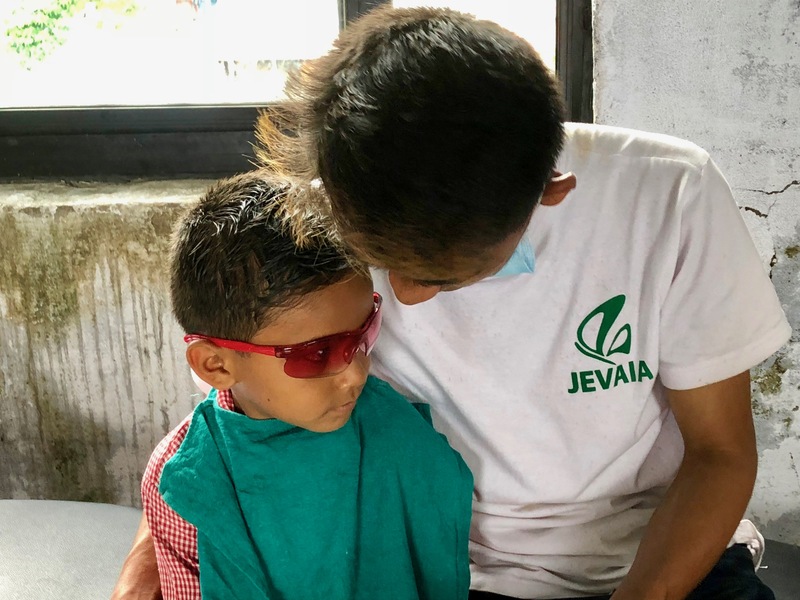 Mina’s situation is an excellent example of why we are trying to get the national health care system in Nepal to adopt primary dental care in rural health posts and school brushing programs in the education system. 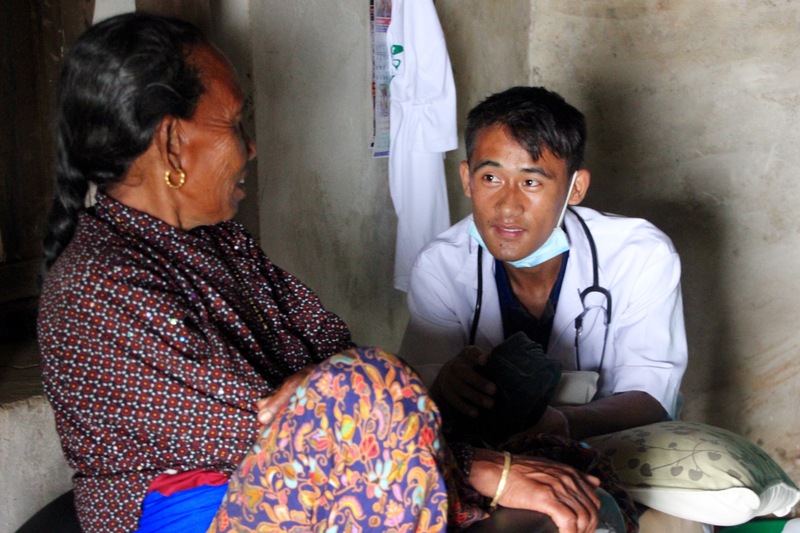 It seems kind of obvious, but in fact our approach is very uncommon, even outside of oral health (where there is literally nobody working on a systemic innovation in Nepal). The majority of rural public health programs we see either focus on a single, one-off hospital with unique resources, or try to please donors by scaling up over whole districts at the expense of rigorously exploring single instances of a model. 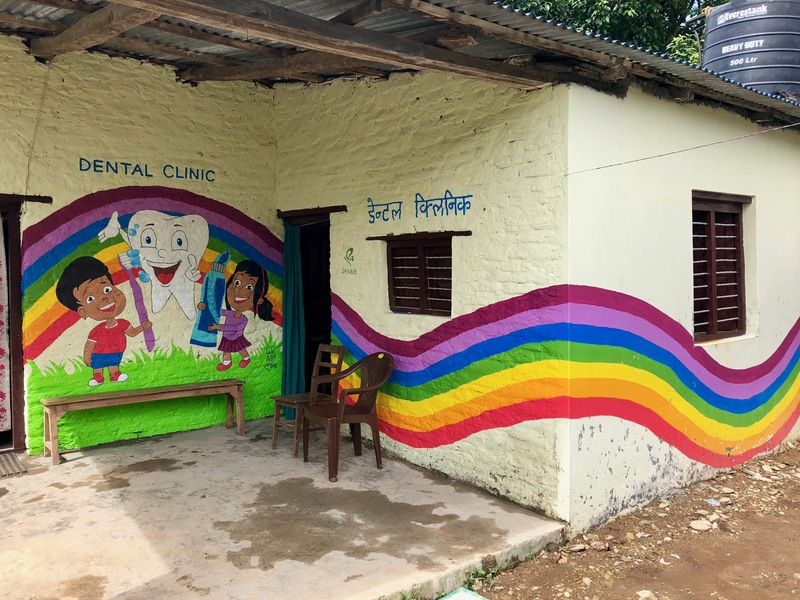 By contrast, we’ve added a few rural dental clinics each year and iteratively improved the design and process of creating-community based oral health care. Now we have a strong if imperfect proof of concept to present to policy makers. 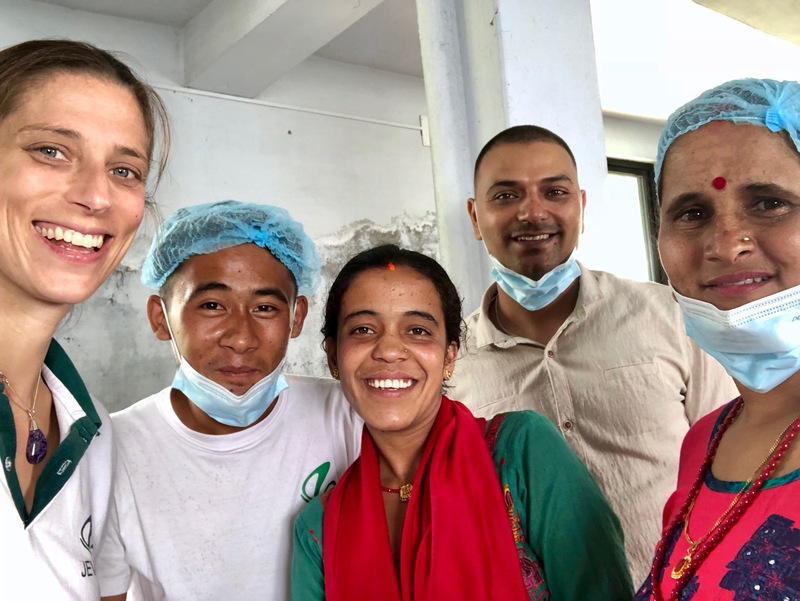 We think that what we’ve done in eight places like Sindure could be done in all 3500 of Nepal’s health posts, bringing sustainable primary dental care to about 20 million people. It was last summer in 2016 that we first presented this model to national level policymakers, and our slides immediately struck a hot wire. The reason is that, although you never knew it, dentistry is an amazingly political topic. This is true even in the U.S., where there’s been a movement to create dental therapists who can provide a limited scope of practice in remote and underserved areas where doctors with $600,000 in student loans will never set up clinics. But who poses the most forceful opposition to dental therapists? Dentists. Dentists are not the only professionals to oppose what is perceived as the degradation of their trade by mid-level providers with less training, but they are particularly energetic about their turf. I recently read a Washington Post article that compared the dental lobby in the United States to the gun lobby. The disagreement is framed as protecting the poor from low-quality treatment, but in practice, the position protects the wealthy from competing investment in effective treatments that could reach people without the ability to pay. There are a good number of such treatments that have been well-studied and do not require pricey providers with PhDs to administer them. In dentistry the problem is made even worse by the discipline’s roots as a cosmetic discipline. Dentists used to be barbers! Even now, the field is separated from the rest of medicine, with dental students educated outside of medical school. If you’re American, dental insurance is probably an appendage on your main health coverage. Even though medical science has long since understood the importance of oral health in overall health, dentistry remains siloed in its own world with its own rules. Therefore, it is also elitist – yes, I said elitist – because as “bonus” medicine, only those who can afford it get it. 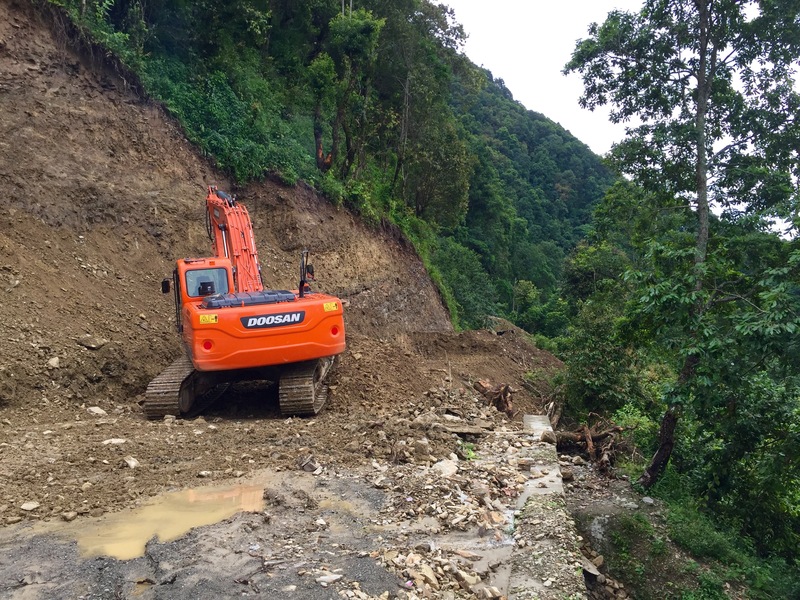 The road back from Sindure…not so easy, even in our jeep! We’re facing the same situation in Nepal, but the ratios are vastly different. Here, about 80% of the population lacks access to oral health care, and oral disease is one of the most widespread health problems in the country. Dental clinics are exclusively in urban areas, and mostly in the capital, but the majority of the public is dispersed across remote hills. With bazillions of dollars going in to nutrition, maternal health programs, cardiac care and diabetes, all of which are directly related to oral disease, there are almost zero dollars being spent on oral health care…because, even in the year 2017, it is still widely viewed as a cosmetic issue. 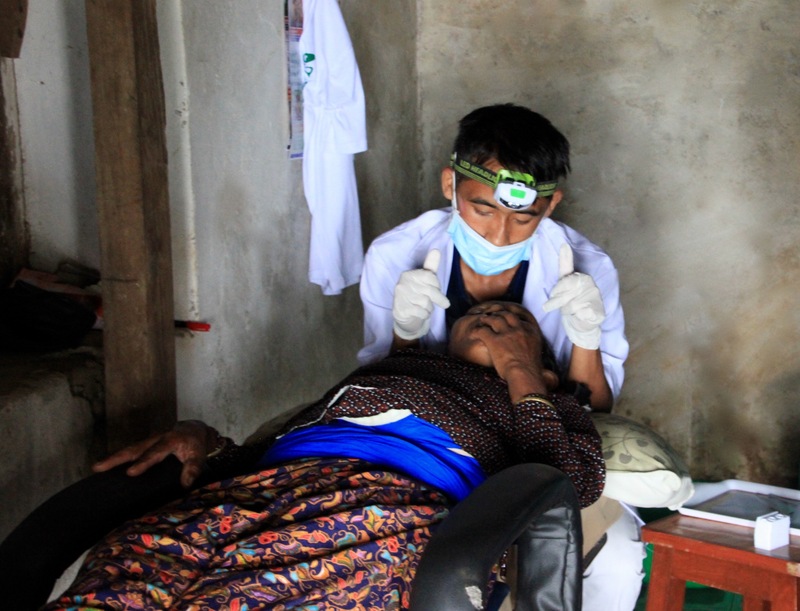 Like American dental therapists, our dental technicians provide appropriate, high quality basic dental care in rural areas, but in Nepal that’s almost everywhere. They also refer to secondary level care, providing an access pathway for people like Mina who, without at least getting a local referral first, would be extremely unlikely to take herself to an urban center for dental medicine. But when we go to policy makers to promote this model, the dental lobby counters with concerns that dental technicians are poorly trained and won’t stay within their scope of practice. Which is a real concern when there is no regulation, but is not what our evaluation last winter showed when technicians practice within the structure we’ve created. Yesterday, Aug 2017, was our second central level advocacy meeting. This year we were joined by two of our dental technicians, K.P. and Anita, who both work in clinics that received local government funding this year. They’ve treated thousands of people in their villages. 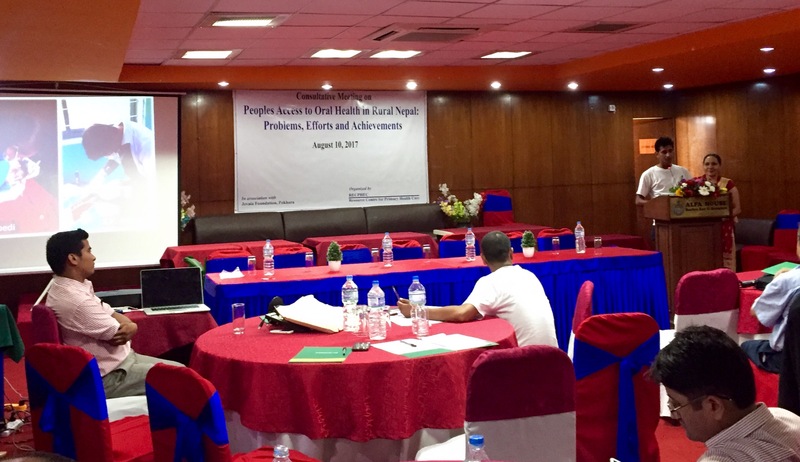 We were prepared for some heated debate…recently, the Nepal Dental Association shut down a government training in the Basic Package of Oral Care that provides the basis for the work our technicians do. The topic is currently so frantic that nobody from the government attended our advocacy workshop! So it was just us, some open-minded dental professionals and social workers, and a very strongly opposed contingent of the NDA. The first two hours of the workshop were very polite. K.P. and Anita each spoke about their experiences – for example, Anita’s clinic runs on Mondays, and she told a story of an elderly man calling her on a Tuesday asking how he’d make it a week. So she knowledgably instructed him to pick up two medications at the Health Post, and the following Monday extracted the tooth to his great relief. How are these “technicians” selected? You say they get two years of training and supervision. What is this training? What is this supervision? You know they will only work for your organization for a while, and then they will leave and go open illegal dental practices. Why do you call them technicians? Technicians are people who fix chairs. One time, I saw a patient with an extracted tooth who turned out to have cancer. What if it’s cancer? You say the dentists won’t go to rural areas. I have been to Ruswa, and Dhading, and Humla! We have all been! Who are you to say we will not go to rural areas? Dental students all do internships. We can staff rural dental clinics with interns on temporary rotations. You’ve spent all this money over the years. Why didn’t you put that money in to setting up one proper referral center with equipment? The dentists will come to it, if you place the setup there. Extraction is an invasive technique requiring anesthetic and primary care does not include invasive techniques. These unqualified imitators are practicing secondary level care. Our health care system is not a playground! The exclusion of poor people from health care is for their own protection from under-trained hacks. I was given “three minutes” to respond to a barrage of about forty questions. Mina crossed my mind, and all I could think of was, our health care system is not a playground. Indeed. While we are all here navel gazing, real people are needlessly suffering. There is a big difference between visiting a place for a day, I pointed out, and sleeping next to someone suffering from pain and fever with an infection, a day’s bus ride from the nearest badly-regulated public hospital that may or may not have a doctor who can treat the problem. What about the use of resources to build sustainable providers instead of randomly placed dental clinics for imaginary doctors to flock to? If only there weren’t so many rusting supplies sitting in rural places, waiting for people to come use them. If only the professional medical lobby put the same effort in to supporting, monitoring, regulating and creating referral systems with community-level providers as it is putting in to obstructing them. Just think what we could have achieved by now. Our health care system is not a playground. Here’s the thing. Nobody wants your interns, your mission camps, your adventure dental care trekking, your once-a-month community service, your charity. We want dignity. We want providers who are appropriately trained for their settings, who know their communities, who will answer phone calls on Tuesdays, who are there for the long haul and not as a resume builder on their way to something better. We want specialists and we want them in the entire country, for everybody, not in the one community where self-congratulating people established a referral center that, happily, expands their own reach. We want something that can actually be implemented, afforded by the government, where there will be a willing workforce, something that is sustainable. No, it’s not. Little knowledge is a dangerous thing. Somebody answer to Mina. The JOHC mob-squad on the way to a central level advocacy meeting. Program Director Aamod Shrestha; technicians K.P. Acharya and Anita Subedi; Medical Coordination Officer Rajendra Sapkota.